Are you expecting your baby? Congratulations. Before arranging the nursery here are some designer tips to help you place everything in place, so you and your baby will be safe and sound. The crib will be the focal point of the nursery, that is where the baby will be most of the time, during the night and for some hours during the day. The most important thing about placing a baby crib bed is the safety issue. Now when the baby is tiny, these tips may seem not important, but time flies and soon the baby is a toddler and they can be in danger. You must place the bed in a shelf free area, so there are no heavy objects over the crib. Make sure there are no electric sockets too close or behind the crib. Infants tend to stick stuff into these holes..
Place the crib not to close to a window. Toddlers find creative ways to climb from their crib!! They should not be able to reach the window. The crib should get some sunlight, but not be in direct sun light for hours. It can endanger the baby by being exposed to UV while it’s skin is not yet ready for it. Keep crib bed away from loose curtain or blind trimmings. They move and babies can find them interesting to pull. Choking from wires, curtains is a hazards which could be avoided by properly setting up the nursery furniture. The crib should be close to the changing table, because these two furniture go together. After a bath the baby is placed on the changing top before it is set to sleep. In the morning the baby is moved to the changing station to be dressed. 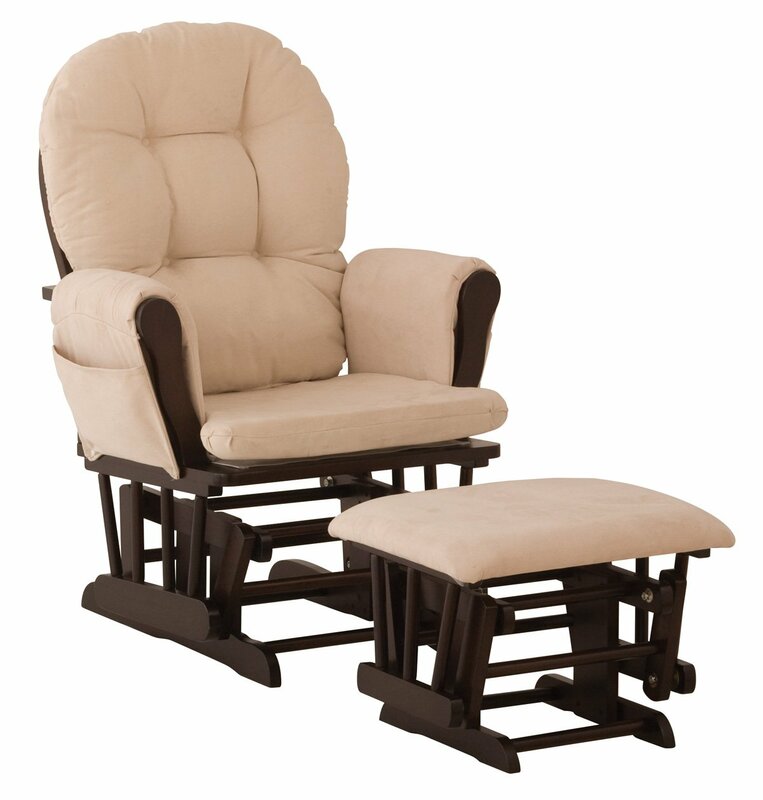 The design of the baby room should take into consideration the glider and ottoman for comfortable breastfeeding and parental bonding. These should be placed facing the door or a window and have a small table near by to place the parents stuff (phone, coffee) so relaxing on the glider will be peaceful and calming. Try to plan the amount of storage place you will need. There will be clothes and toys and diapers and blankets. Plan where they all will be stored. Some need to be in the changing station, to be close by for refill, others like blankets and bedding can be stored further away. This entry was posted in White Changing Tables and tagged baby crib, baby crib safety, baby Cribs On Amazon, Best baby crib furniture, Buy a Good Baby Crib, Folding Baby Crib by dekel. Bookmark the permalink. Disclaimer: http://whitechangingtables.com is a participant in the Amazon Services LLC Associates Program, an affiliate advertising program designed to provide a means for sites to earn advertising fees by advertising and linking to amazon.com. ######################### The content at http://whitechangingtables.com is provided for general information only and is not intended to be utilized as advise, diagnosis, or care. If you have questions concerning your health, seek the advise from your health care professional. Disclaimer: http://whitechangingtables.com is a participant in the Amazon Services LLC Associates Program, an affiliate advertising program designed to provide a means for sites to earn advertising fees by advertising and linking to amazon.com. The content at http://whitechangingtables.com is provided for general information only and is not intended to be utilized as advise, diagnosis, or care. If you have questions concerning your health, seek the advise from your health care professional. Copyright © 2019 Best Cribs & Baby Furniture Sets. All Rights Reserved.